The Elections Commission has decided to recount ballot boxes in three constituencies after complaints were submitted about the April 6 parliamentary polls. 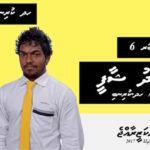 One box from the Alif Dhaal Maamigili constituency, four boxes from the Meemu Madduvari constituency, and 69 boxes from the Laamu Maavah constituency will be recounted, the electoral body announced Wednesday morning. 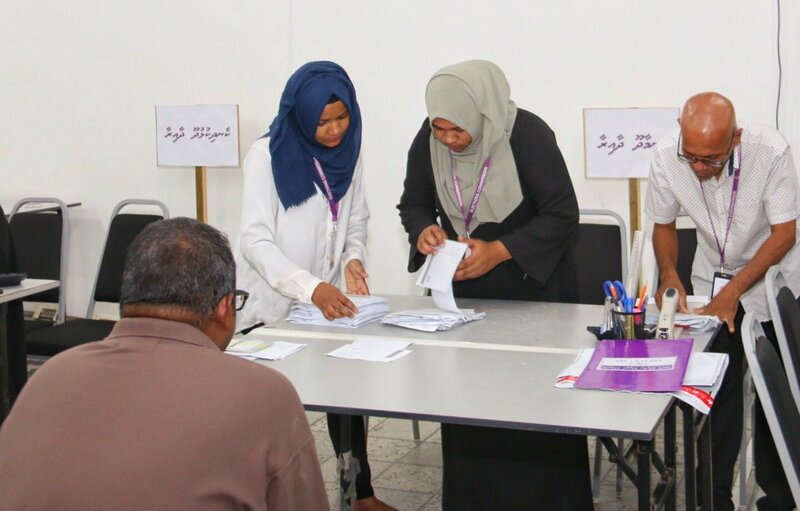 The recount will take place at the election headquarters in Malé late Wednesday afternoon. The decision was made after deliberations at a meeting of the national advisory committee, which includes representatives from state institutions, political parties and civil society. According to provisional results, Jumhooree Party leader Gasim Ibrahim retained his Maamigili seat and former defence minister Adam Shareef Umar won the Madduvari seat with a 17-vote margin. 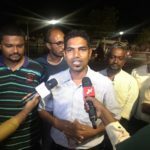 On Tuesday night, the EC recounted three ballot boxes each from the Maamigili and Maavah constituencies. Neither recount changed the outcome but former economic development minister Mohamed Saeed’s narrow lead in the Maavah race was reduced to five votes. 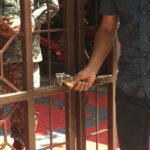 Out of 190 votes that were deemed invalid in the Maamigili constituency, the EC’s recount gave 64 more votes for Gasim and 45 votes for Maldivian Democratic Party candidate Ali Ameez. EC chief Ahmed Shareef warned that the officials who marked the valid votes as void would face action following a probe. While the recount confirmed the business magnate’s re-election for a third consecutive term, his margin of victory with 99 votes was significantly narrower than the 82 percent he won in the 2014 election. 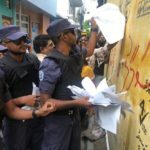 Three boxes from the Maamigili constituency were recounted after a complaint was filed about officials counting valid votes as void. The security envelop was unsealed and votes recounted in the presence of the media and candidate representatives. Appearing on Gasim’s Villa TV, EC president Ahmed Shareef said the recount “confirmed the validity of over 100 votes” and promised action against the responsible officials. The official in charge of polling stations is tasked with determining if a vote is valid. Ahead of the April 6 polls, the electoral law was amended to invalidate ballots with any drawings or scribbles other than the checkmark next to the candidate’s name. Some 4,837 votes were voided in the parliamentary elections, up from 3,132 votes counted as invalid in September’s presidential election. Official results are expected to be announced before Saturday. Preliminary results show a landslide victory for President Ibrahim Mohamed Solih’s MDP with 65 seats from the 87-member legislature. The four parties that backed Solih in September’s presidential election contested separately after the MDP decided to stand alone. Coalition partner JP made a pact with former president Abdulla Yameen’s Progressive Party of Maldive-People’s National Congress alliance to support each other’s candidates. The JP won five seats after fielding 41 candidates and the PPM and PNC together won eight seats after fielding 46 candidates. Independent candidates won seven seats and the PPM’s former coalition partner Maldives Development Alliance won two seats.